John L. “Jack” Asher Jr.
John L. (Jack) Asher, Jr.
Jack Asher, former co-chairman of Asher’s Chocolates, passed away peacefully at age 83. He resided in Ambler, PA and formerly lived in Germantown (Philadelphia) and Flourtown, PA.
Beloved husband of 63 years to Carolyn (nee Krimmel): devoted father of John L. (Renee) Asher III, David B. (Janine) Asher and Susan Asher. He will also be missed by his 6 grandchildren and 4 great grandchildren. Jack’s greatest joys in life were his family, the candy business, preserving history and community service. Jack grew up in Germantown and graduated from Germantown Academy in 1952. After attending the University of Pennsylvania for several years, he joined the business full time. Asher’s Chocolates was started as a small candy store near Independence Hall by his grandfather in 1892 and moved to Germantown in 1896. Upon the untimely death of his father in 1966, he worked tirelessly along with his brother Bob to salvage the business from the verge of bankruptcy. As the “candy maker” in the family, he most enjoyed working alongside his beloved staff and 4th generation family members to create and produce new delicacies for the customers. What started as two small “I Love Lucy” chocolate candy lines, grew into two large candy factories in Souderton and Lewistown, Pennsylvania which serve the entire US and Canada. He became known as the “Candy Man” and served the community in many capacities. He was on the Board or Chaired many organizations including: First Presbyterian Church in Germantown, Historic Cliveden (sponsoring re-enactment of the Battle of Germantown for 40 years), Academy of Natural Sciences, Whosoever Gospel Mission, PA School for the Deaf, Germantown Historical Society, Ivy Hill Cemetery, Historic Rittenhouse, Partners for Sacred Places, Presbyterian Historical Society, Germantown Business Association, Lutheran Theological Seminary and the Wells Memorial Presbyterian Church in Avalon, NJ. 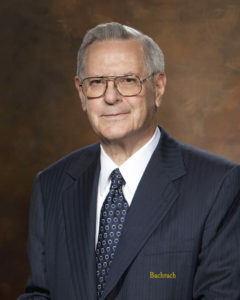 Jack was a Life Member of the Union League of Philadelphia, a Founding Member of the Keystone State Boys Choir, a Volunteer Firefighter for 35 years, awarded the Philadelphia Chamber of Commerce Small Business Person of the Year in 1988 and was elected to the Candy Hall of Fame in 2006. Relatives and friends are invited to the Funeral service Sunday September 10th at 2pm at the First Presbyterian Church in Germantown, 35 W. Chelten Ave., Philadelphia, PA 19144. The family will greet people at 3pm at church following the service. Interment is private. The family kindly requests that in lieu of flowers, memorial donations be made to the First Presbyterian Church in Germantown, or Keystone State Boychoir, Inc (at the church address) or the Jack Asher Legacy Fund at Cliveden, 6401 Germantown Ave., Philadelphia, PA 19144. To the Family of the Late Jack Asher, Jr.
We are so saddened to hear of Jack’s passing. He was a wonderful man and we always looked forward to his visits when we worked at a store that carried Asher’s candies. We now carry Asher’s in our own store and while he never did come to Sweet Caroline’s we know he would have liked the store. Heartfelt sympathies to Jack’s family. I just heard of the passing of Jack Lee’s and your dad and my dad John from John L Sales. I have a great photo of your dad from the battle of Germantown. I thought I better get it to him soon. Unfortunately I did not know Jack had passed away. Jack was a great friend to our family especially my dad John of John L Sales. Your dad always had a strong hand shake and kind word. I am not sure how to get you the picture. It is from 2014 Jack has an Asher hat on and is standing with two rein actors in Germantown. It is a really good picture of him Tall and strong. I am sorry this post is so late and very sorry to hear of the passing of your dad.